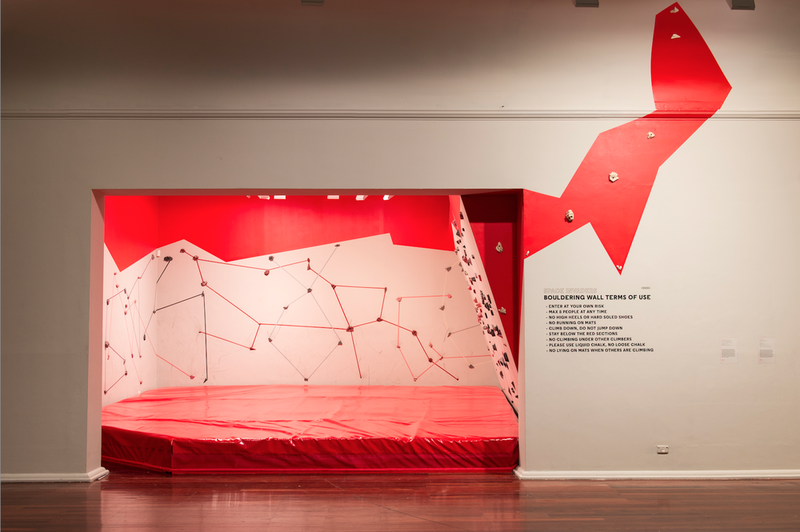 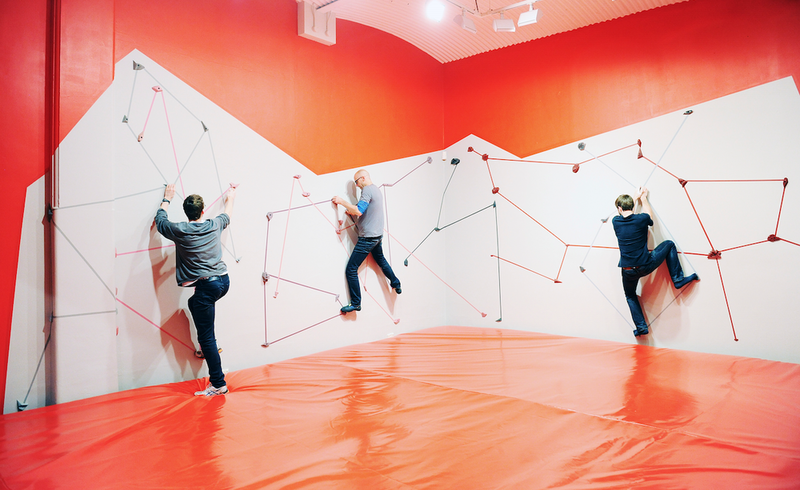 Space Invaders was a three-dimensional, fully interactive wall drawing and graded climbing space, installed at Perth Institute of Contemporary Arts for the Kinesphere exhibition. 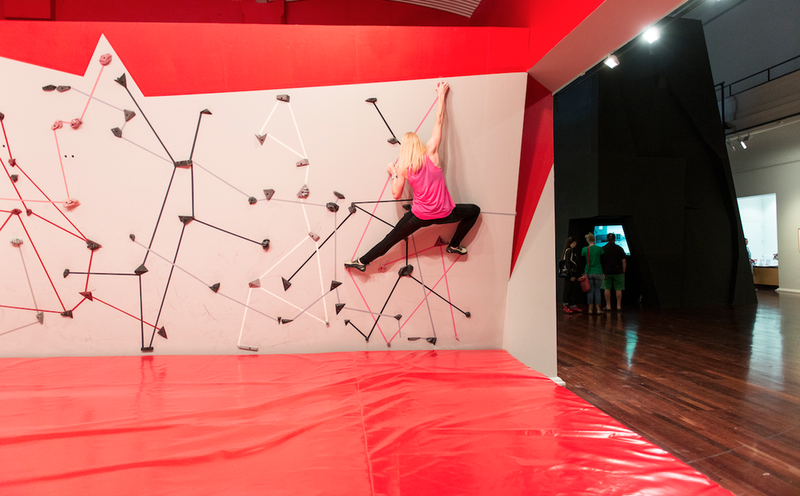 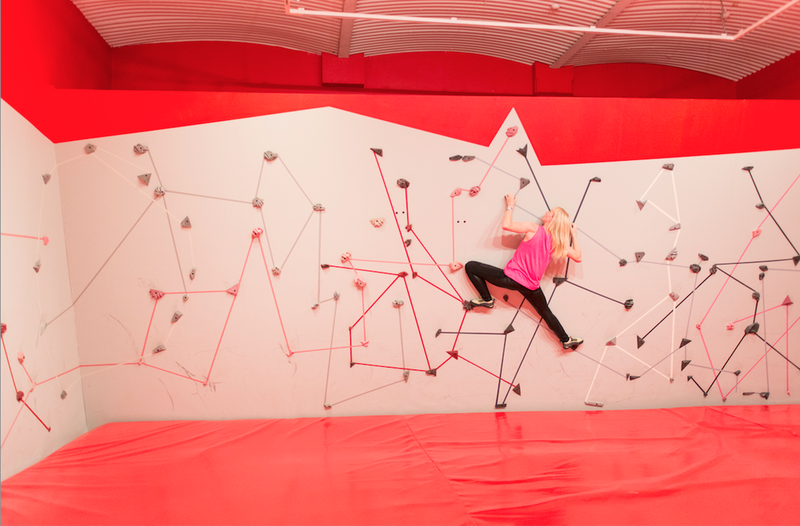 The 16 routes were defined by the colour of the painted lines and the resin climbing holds. 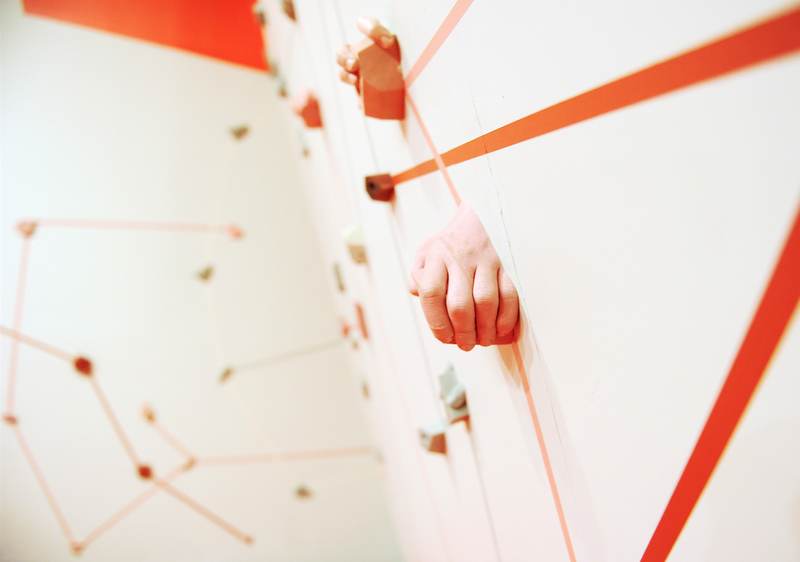 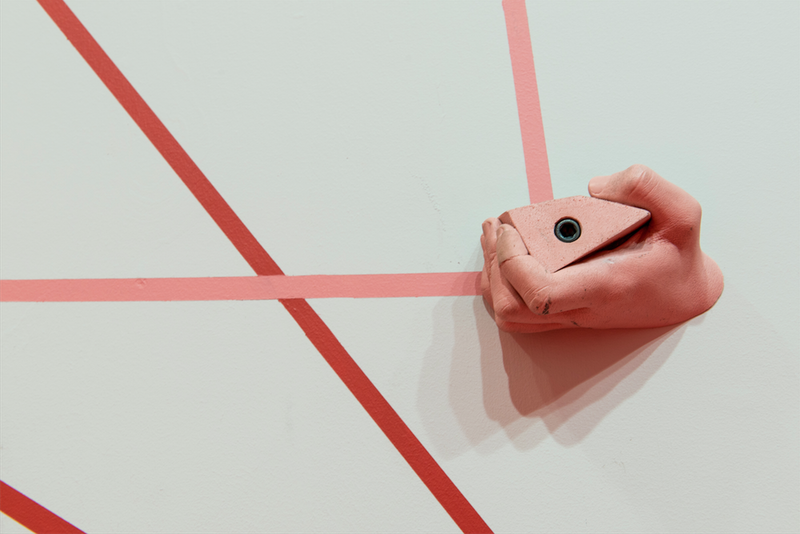 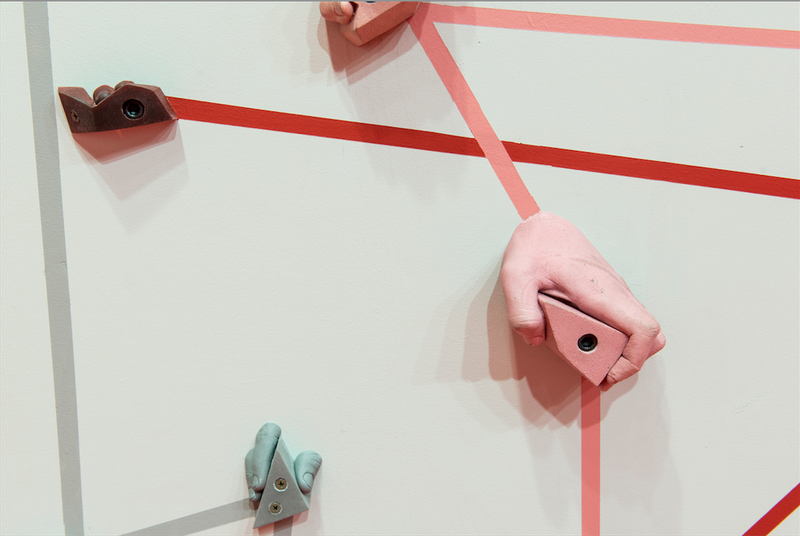 Each hold is a sculptural work in which the artist cast the hands of her fellow climbers. 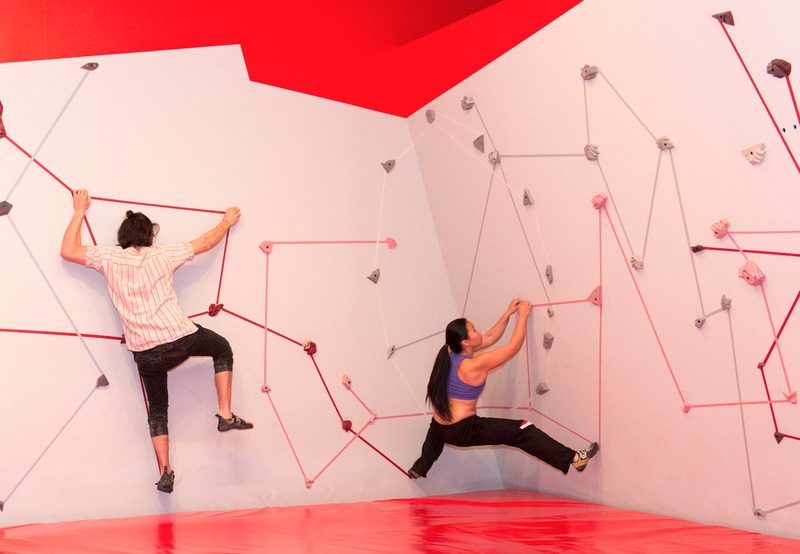 Space Invaders is also a performance piece, in which the artist worked with climbers and bouldering professionals to map out these routes, but inviting others to create their own. 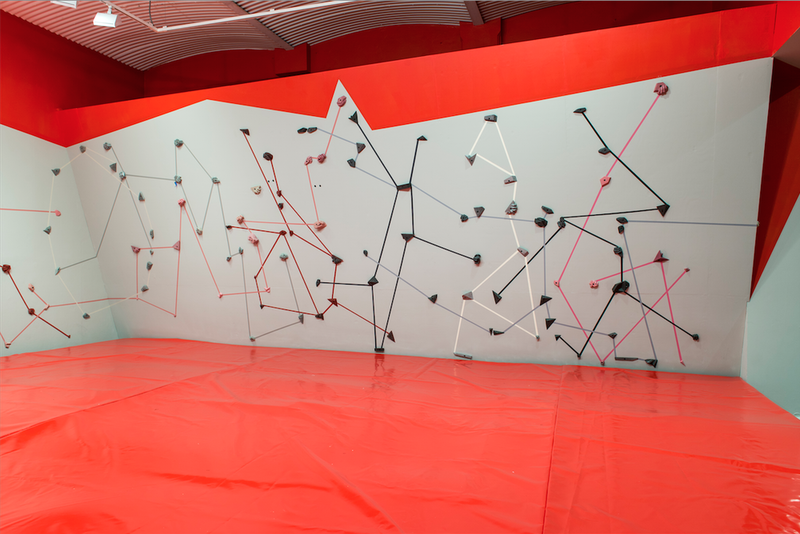 In this work the hand marks, streaks of rubber from climbing shoes and traces of chalk became part of a collectively made wall drawing over the duration of the exhibition. 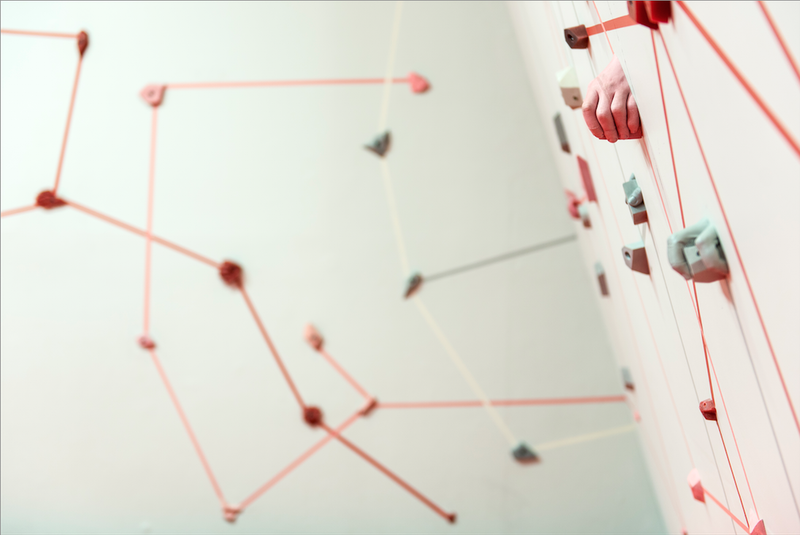 Short video by Peter Cheng of the Space Invader installation, during Kinesphere at PICA.